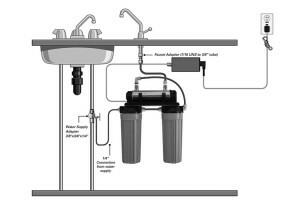 Adds integral pre-filtration to the VT4 UV disinfection unit. Includes two 20″ filter housing with 5 micron sediment and taste/odour cartridges. 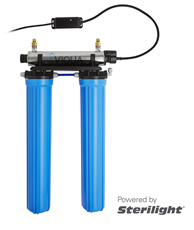 Note: The VT4-DWS replaces the Sterilight DWS11-A,S2Q-DWS, SC2.5-DWS, SC4-DWS and S5Q-DWS systems.